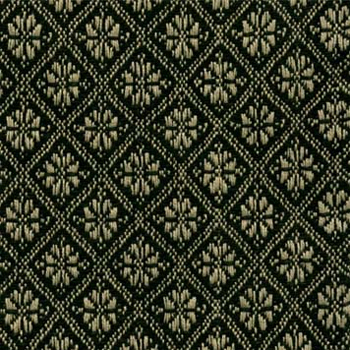 Kingston Jacquard Black Afghan is rich, woven jacquard for a true statement to coordinate with your window curtains. 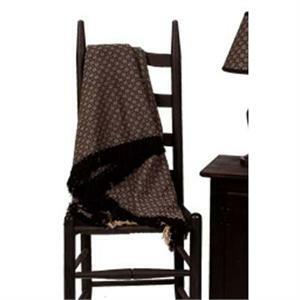 This afghan is a stunning accent perfect for the bedroom or as an elegant addition to your living room decor. 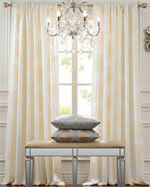 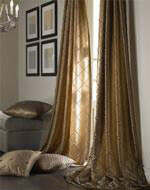 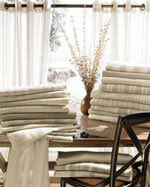 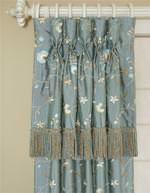 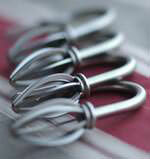 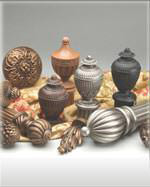 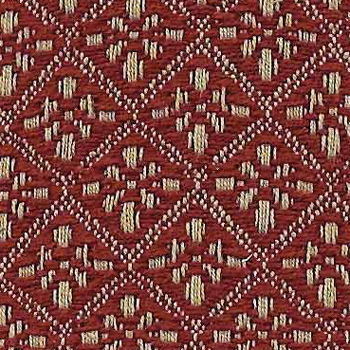 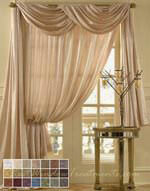 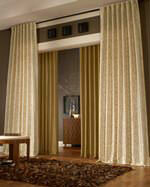 We have a complete selection of ready-made curtain rods for your valance. 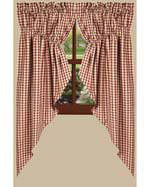 For proper fullness, order approximately 2x the size of the window. 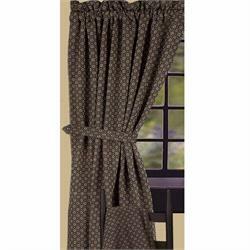 For example, a 72" width valance will fit on a window measuring 36" -46" in width. 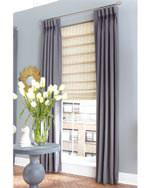 If your window is larger, consider adding a second valance.